I’ve made these cupcakes a few times now and they always get a bunch of hype. When I tell people they have bacon in them, they literally don’t hear anything else. Bacon?? In a cupcake?!? 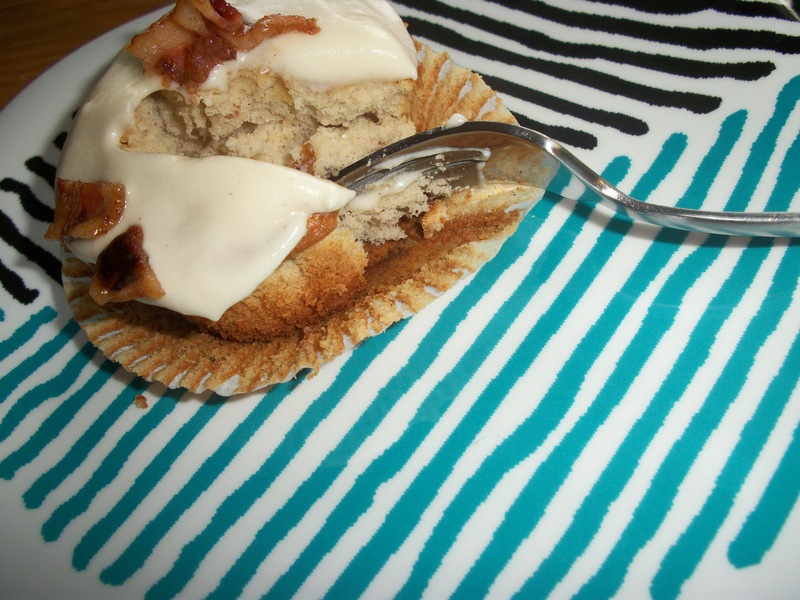 Truthfully, I’m not a huge bacon fan but I do love it with breakfast so these cupcakes are right up my alley. While other cupcakes of mine have received great taste reviews, everyone talks about these cupcakes for weeks after I’ve made them. Remember that time when Trish put bacon(!) in cupcakes?!?! Yeah, she’s nuts. Cakey, sweet French toast cupcakes are topped with creamy, maple cream cheese frosting. Brown sugared bacon is the real cherry on top. My inspiration came from Iowa Girl Eats a couple of years ago. I’ve made a version of her recipe a few times and each has been a success. 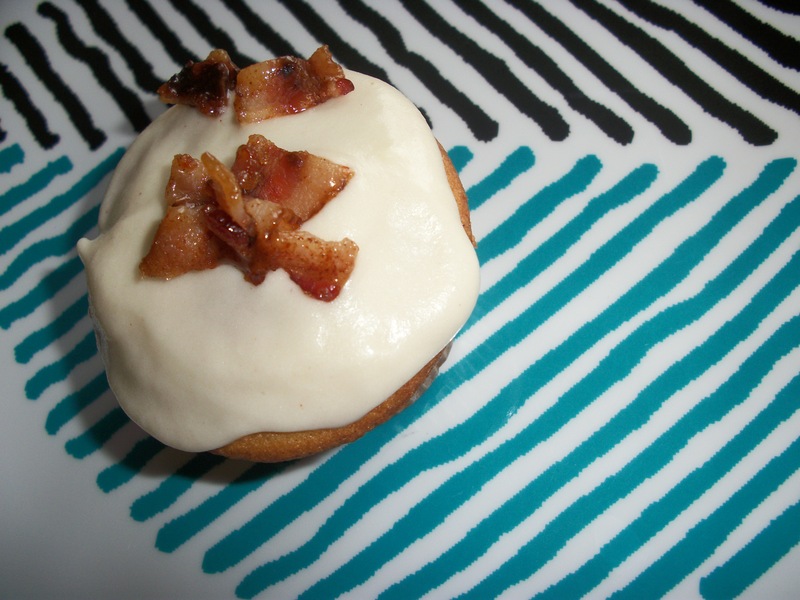 I’m sure plenty of recipes pop up when you Google “bacon cupcakes” but here’s how I make mine. **You can add as much or as little as you’d like. 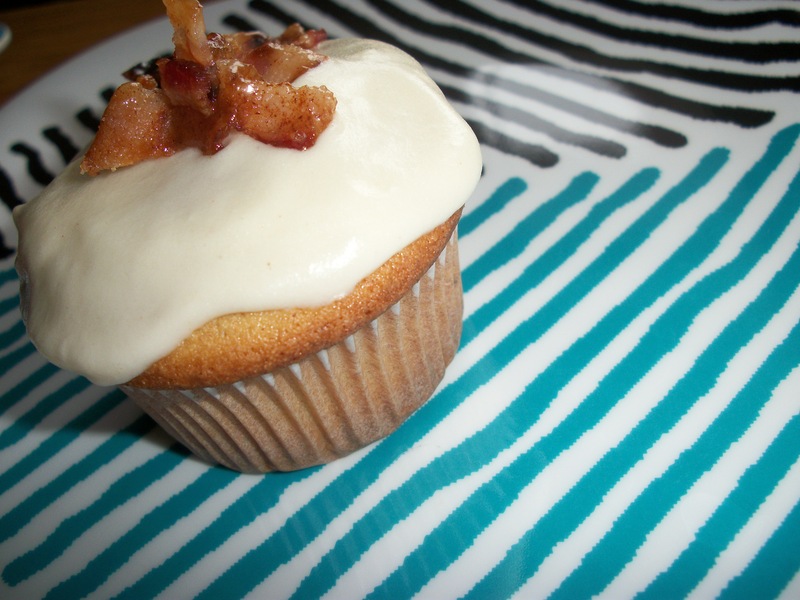 Keep in mind that the bacon will make the cupcakes a tad greasy so you may want to go a bit lighter in the cake itself and extra bacon as garnish. 1. Combine butter and sugar in bowl of stand-up mixer, fitted with paddle attachment. Mix on low until just incorporated. Increase speed to high until light and fluffy (this may take up to 10 minutes), ocassionally stopping mixer to scrape down sides of bowl. 2. In a medium bowl, sift together flour, baking powder, salt, nutmeg, and cinnamon. Set aside. In a small bowl, whisk together milk vanilla, maple extract and maple syrup, set aside. 3. Add egg yolks to butter mixture, one at time, mix well after each addition. 4. Reduce mixer speed to low. Alternately add flour mixture in 3 additions and the milk mixture in 2 additions, mixing well after each addition. Increase speed to medium and mix briefly until a smooth batter is formed. Transfer the batter to a large bowl. 6. Working in 3 batches, using a rubber spatula, fold the egg whites into the batter, until just incorporated. Fold in bacon. Divide the batter evenly among cupcake liners in pan. Bake in a 375 degree oven, rotating once, until golden brown and a toothpick inserted in the center of the cakes comes out clean, about 30 minutes. 7. 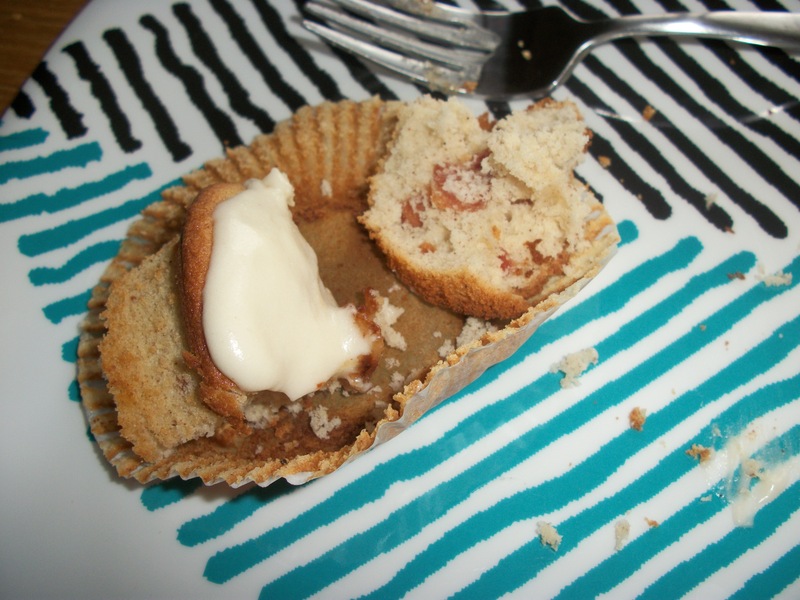 Remove cupcakes from oven and cool completely. 1. In the bowl of an electric mixer fitted with the paddle attachment, beat cream cheese and butter together until smooth. Add maple syrup, maple extract and confectioners’ sugar; continue beating until well combined and smooth. 2. Frost cupcakes as desired. Garnish with crispy, chopped bacon. For an added sweet treat, toss bacon with brown sugar & a bit of cinnamon before garnishing. Yum! These cupcakes practically scream breakfast!! (hence the name) but let me assure you, they’re great any time of the day. The cake itself is like a mix between cake and French toast. The frosting is creamy, dreamy, and cream cheesy. And the little bits of bacon in each bite? Well, they ain’t too shabby either? I feel like this is such an odd question because most of the world will scream YES! Absolutely! Is that even a question?! But I guess I’m in the minority because it’s not something I crave or absolutely have to have. As I mentioned before, I like it with breakfast foods. But on a burger or in a sandwich? Eh, no thanks. On salad? I’ll probably eat it if it’s on there but won’t go out of my way to get a salad with bacon on it (except for spinach salad with warm bacon dressing, that’s the ish!). I guess it’s just one of the few foods of which I don’t get all the hype. But in these cupcakes, the hype is well-deserved. Previous Post ¡mas sombreros por favor!